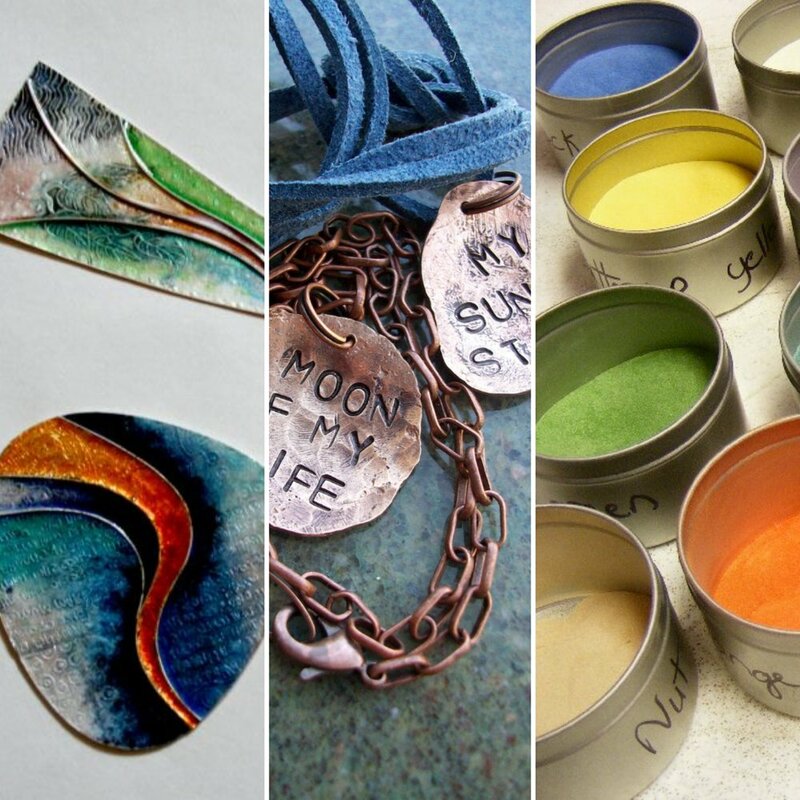 Come and learn the art of enamelling and jewellery making on this new two week course. You will leave with two unique pieces and enjoy learning how to apply enamel to copper using powdered glazes which you fuse in a small kiln for instant results!. Techniques we cover include stencil work, silver foil and cloisonne with design work to enable you to create your unique pieces. In addition we learn how to cut a shape from copper then decorate using hammering techniques and cover simple wire work to include piercing, chain links and jump rings. Course fee is £75 for 5 hours qualified tuition and all materials included. You can book your place with a £25 deposit with the remaining £50 payable on week 1.